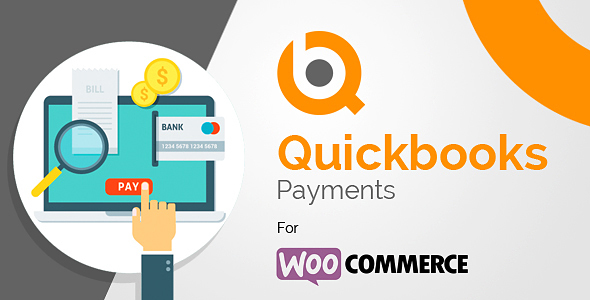 Accepts payments from major credit cards on your WooCommerce website with QuickBooks Payments for WooCommerce. With QuickBooks Payments for WooCommerce, customers stay on your store during checkout instead of being redirected to an externally hosted checkout page, which has been proven to lead to higher conversion rates. This extension supports merchants using an QuickBooks Payments account for eCommerce processing, or the legacy QBMS (QuickBooks Merchant Services) payment accounts. This document will show you how to setup and configure the extension to work with your Quickbooks Payments or Intuit QBMS account. Now easily manage your WooCommerce Payments with QuickBooks By Using Quickbooks Payments For WooCommerce. Customers never leave your site. Free Help – Inspire QuickBooks Payments for WooCommerce free technical and account support to merchants, as well as access to online documentation and user guides.